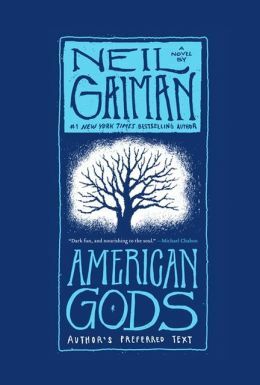 Before I read The Ocean At The End Of The Lane I had never read anything by Neil Gaiman despite knowing his work and telling myself “you should read that.” American Gods is the definitive work of his I had been telling myself to read for years. A dominant catalyst in my desire to read American Gods comes from the table-top RPG Scion, which cites American Gods as a major influence. I have always had a fascination with Norse mythology along with sagas, legends and folklore in general so combine that with a pen and paper RPG emphasizing storytelling and I was on board. American Gods hung around in the back of my mind for several years after that as Scion wound up in a box somewhere that December when I shipped for Navy boot camp. Once I read The Ocean At The End Of The Lane though, reading American Gods shot up toward the top of my list. I finished it in October 2013 but in my almost signature manner I haven’t written about it until now. First things first I read the “Author’s Preferred Text” which Neil explains is the original, untrimmed version of American Gods (it was cut down before it won approximately all the awards and sold over a million copies) combined with the original edited version and the original printed version. Mix and match them together and you get the version I read. The basic premise of American Gods is that every deity in the world, whether it’s Egyptian gods, Norse gods, the loa, Native American spirit guides and so on and so forth, existed because they were believed in. Think of belief as an energy source, the more believers you have the more powerful you are. The inverse is true as well, once you have been forgotten you cease to exist. It gets more complicated than that. Different parts of the world have their own variations of the gods. This story, if you hadn’t guessed, focuses on the American versions. The over-arching plot is a war brewing between the new and the old. Old gods being Norse gods, Egyptian gods etc and the new gods being ideas personified, such as The Technical Boy (computers and the Internet), Media and the Black Hats (stemming from America’s obsession with government conspiracy etc). The novel explores a man named Shadow’s role in the upcoming conflict and follows him as he works with and encounters various gods, old and new, all over America. American Gods is an underrated book that more people should read. I myself should have read it earlier. After finishing I concluded it deserves every award it received, even though they were convoluted in and of themselves: it won the Nebula and Hugo (mostly science fiction awards), the Bram Stoker Award for horror, and the Locus Award for fantasy. I am just as perplexed as the awards when it comes to labeling American Gods. Other than to name it a damn fine read. I have not read anything by Neil Gaiman before, despite my best efforts to read American Gods. He’s one of the authors that I have always told myself “You should read that book.” but just never get around to it. My years long bout of horrible judgement ended on Sunday night. A few weeks ago I had seen The Ocean At The End Of The Lane on the new books shelf at Barnes and Noble and glanced at it, again stating “I should read that, it’s Neil Gaiman.” I didn’t buy it. This past Saturday I went to Barnes and Noble again to peruse books. I often wander around bookstores when I’m looking to get out of the apartment. I saw The Ocean At The End Of The Lane again and this time I decided to take the leap. I bought it based on the title and author alone. Sunday evening I decided to read a few chapters. The book isn’t long, 181 pages, so I figured I’d start it and read a chapter or two a day and I’d be done in a week or so. That didn’t happen. I went in with a goal but that plan was thrown out the window by the end of the first chapter. This is the first book I’ve read in two years that I read from start to finish in one sitting. When I decide that any previous plans are being discarded in favor of reading the day away book length becomes irrelevant. The previous book I read cover to cover, The Name Of The Wind by Patrick Rothfuss, checks in at a door-stopping 662 pages. I was on vacation for that one. I can’t quite put my finger on what drew me into The Ocean At The End Of The Lane. Part of me thinks it is abrupt manner of Neil’s writing, plus I like what perspective tricks can be played while using a first-person narrative. The story doesn’t reveal things I would have thought vital before I read it, but having finished the story I would call that part of the charm. The protagonist’s name is never stated nor is his family’s names. They’re referred to only as his mother, father and sister. There are a few hints that point to the narrator’s name being George, such as his father calling him “Handsome George” and Ursula calling him “pudding-and-pie”, a reference to a British nursery rhyme. The only significant characters whose names are stated outright are supernatural: Ursula Monkton, Lettie Hempstock and her mother Ginnie and the eldest of the Hempstocks is only known as Old Mrs. Hempstock. The only other name I remember is Callie Anders, the fair-haired girl who lived down the lane from George as a boy and shared kissed with when he was sixteen. 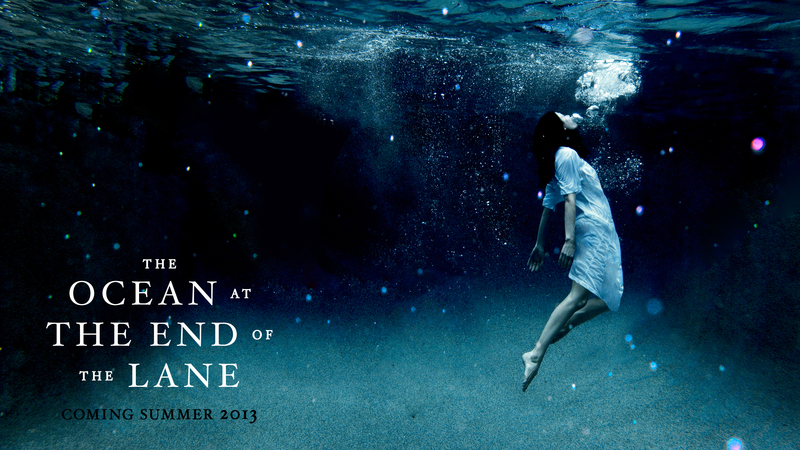 The Ocean At The End Of The Lane is a dark fantasy take on a coming of age story. George is a child who lives and breathes in the worlds of books and comics, much to his rugby playing and car loving dad’s chagrin. Even his younger sister teases him, and she’s only five. No one came to his seventh birthday party despite his invitations. The story is framed as a middle-aged narrator visits the home of his past and relives the events around his seventh birthday, when he met Lettie Hempstock and has a run in with the supernatural. Old Mrs. Hempstock is implied to be older than the current universe, and that she’ll be around for the next one as well. Ginnie and Lettie are her family and they just, are. It is never stated what the Hempstocks are beyond just that, the Hempstocks. They are. There is a lot of Biblical allusion in that statement, given that God is also referred to as I Am. George’s normal life is disrupted when his bedroom is rented out to help his parent’s struggling finances. A taxi dropping off a guest using the room, only called the opal miner, runs over George’s kitten, Fluffy. It’s this incident that seems to touch off the story as a few days later the opal miner steals the family car, drives it further down the lane and pipes the exhaust inside to commit suicide. The way Neil writes this chapter, the discovery of the car being missing, strikes a chord with me. Emphasis is placed on inconsequential things such as burnt toast, highlighting that the narrator is a child. Lettie and the rest of the Hempstocks are introduced in this chapter, as George’s father deals with the police they take care of the boy at their farmhouse. The first hints of the supernatural at given here as the Hempstock women know things they would have know way of knowing, and it is implied they can see, or at least have a sense, of the future. This is my favorite chapter, because the imagery Neil uses is so powerful that it paints a clear, unadulterated picture. The rest of the story unfolds as the Hempstocks deal with what Old Mrs. Hempstock calls fleas, eldritch creatures that would feel at home in an Lovecraftian tale. George is taken along for the ride because Lettie brings him along, despite her better judgement. This particular flea is known as Skarthach of the Keep (a name revealed well after her character reveal) is described only as a mass of rotting fabric and wood, similar to the sails of a ship. Fleas are not of this creation and only do what is in their nature, often not for the betterment of their surroundings. One, referred to as during Cromwell’s time appeared as a horse-sized toad who made people lonely and another during Red Rufus’s time who made people’s dreams come true. Fleas seem to feed off the emotions of humans, but they also attract far more intrusive beings known only as cleaners or the hunger birds. Neither good nor evil the hunger birds serve their purpose, and that is to clean existence of fleas. They do so by eating them. It is the cleaners that Old Mrs. Hempstock does not like dealing with, hence why she shoos away fleas whenever they show up on Earth. In dealing with their current flea Lettie attempts to bind her, so that her influence (giving everyone money) will no longer bleed over into creation. Instead she latches onto George and travels home with him as a worm inside his foot that he later discovers and pulls out. From there she takes on a human form, Ursula Monkton, and evokes every child’s nightmare: a sitter from hell (or from elsewhere in this case). She begins to string the family under her will through her cooking and begins to exert her influence over his father. George does not like her and attempts to escape but she seems to know his every move and heads him off. Later she coerces his father in attempting to drown him in the bathtub. After George has been locked in his bedroom, he draws inspiration from his storybook heroes and escapes down the drain pipe,. George witnesses the extra-marital activity of his father with Ursula but does not understand what they are doing, instead focused on the fact that Ursula has her concerns elsewhere. Lettie and the Hempstocks rescue George from his predicament as Ursula chases him across the fields that run alongside the lane. Their resourcefulness and unwillingness to place common folk in tricky situations plays a part in how they decide to handle the flea. In this case Lettie decides to call on the cleaners to remove her for them. In the end Lettie sacrifices herself, after a fashion, to save George as the hunger birds decide to tear him apart to get at the last part of the flea’s pathway home, which she hid inside his heart. It is revealed that George visits the Hempstock farm from time to time later in life at Lettie’s request, so she can see whether it was worth it. The narrator forgets these visits, and what happened during his childhood, soon after. While the story is fantasy, the supernatural elements serve as a parallel to childhood perceptions of adults. The going-ons of adults are a great mystery to children, who cannot fathom why these all powerful people behave the way they do. Adults are people who should not cry, who can do anything they want and who exert great control over their life. Neil takes this one step further and pushes the “all-powerful mysterious adults” into creations of supernatural power. Ursula Monkton serves as a prime example of the fear of an adult that children can possess. She is an abomination, an evil monster who tries to control the narrator’s life for her own nefarious purposes. While her motives are supernatural you could strip away the fantasy and Ursula would still be much the same terrifying figure to a child. It’s this quality that makes her a remarkable antagonist: you can remove her most terrifying elements, her other world powers and motives, and she is still a shiver-inducing character. That’s powerful. "People should be scared of Ursula Monkton." "P'raps. What do you think Ursula Monkton is scared of?" "Dunno. Why do you think she's scared of anything? She's a grown-up, isn't she? Grown-ups and monsters aren't scared of things." "Oh, monsters are scared." said Lettie. "That's why they're monsters. And as for grown-ups ... I’m going to tell you something important. Grown-ups don’t look like grown-ups on the inside either. Outside they’re big and thoughtless and they always know what they’re doing. Inside, they look just like they always have. Like they did when they were your age. The truth is, there aren't any grown-ups. Not one, in the whole wide world. ... Except for Granny, of course” (112). While the story is short there is so much packed into each sentence that it does not feel as brief as it is. There isn’t frivolous prose or nor does Neil run on errant tangents. This is a novel that from the moment I finished it I could see myself reading it again and again. Both for its brevity and for how much of a thrilling, exceptional tale is spun during that short span.